Come along and enjoy one of our public skating sessions within a quiet and calm environment, with no music or flashing lights. The sessions are perfect for those who would benefit from a more relaxed atmosphere – including those with a learning disability, an autism spectrum condition, or sensory and communication disorder. They are open to all but designed for those who may find ice skating that little bit more challenging. We want to create and encourage an atmosphere where all our guests feel safe and in-control and able to exit the ice with ease at any time. 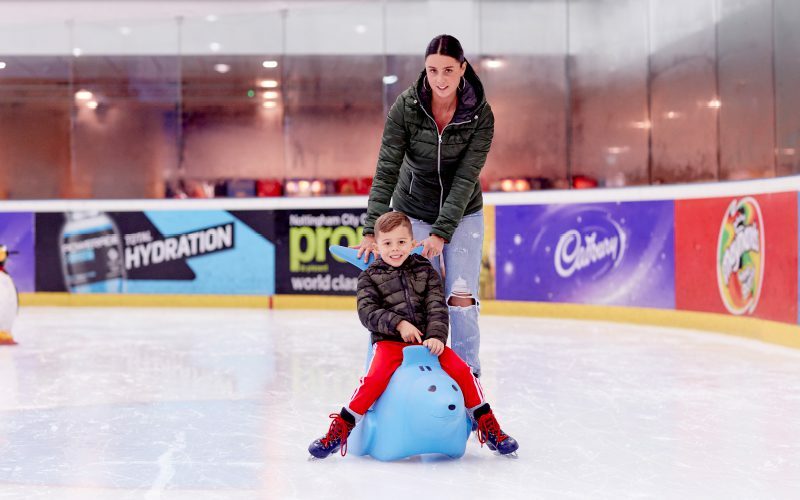 We want people of all ages and abilities to be able to enjoy the ice and encourage both families and individuals to come along to our monthly Relaxed Skating Sessions. The music is turned off on the ice rink and within our Sub Zero café. The lighting is kept to our standard 200-lux setting, with no disco lighting or flashing lights. Our Tots Zone will be available to use, with free equipment within the area. On-ice equipment will be available to hire at standard cost price. Sledges are available upon request for those with mobility issues. If the sessions fall upon an event night at Motorpoint Arena Nottingham, there will be a quiet exit available to use upon leaving. "We visited on 22/1/19 and joined the relaxed skate. We have an under 5 and an autistic 11 year old aswell as a 6 year old and the staff were amazing, they helped my very nervous 6 year old to learn how to stand and skate unaided. My 11 year old was like a pro by the end of the session thanks to an amazing lady that took the time to help him. He was very overwhelmed to start with but with the relaxed skate there was no music and the lighting was perfect. We will be visiting again, thank you for an amazing afternoon." "The National Ice Centre now holds a monthly relaxed, all ability session where the music is turned off and lighting neutral. This is a genuinely cared for event, with additional staff on the ice to help parents and children, as well as an array of skating aids to enable any skill level to ice skate. On top of this I met other friendly families in similar circumstances and it was a real social evening. Can't wait for next month. We had a great time and felt our health conditions were totally supported and understood. Well done National Ice Centre! Setting a high precedent for others to follow."